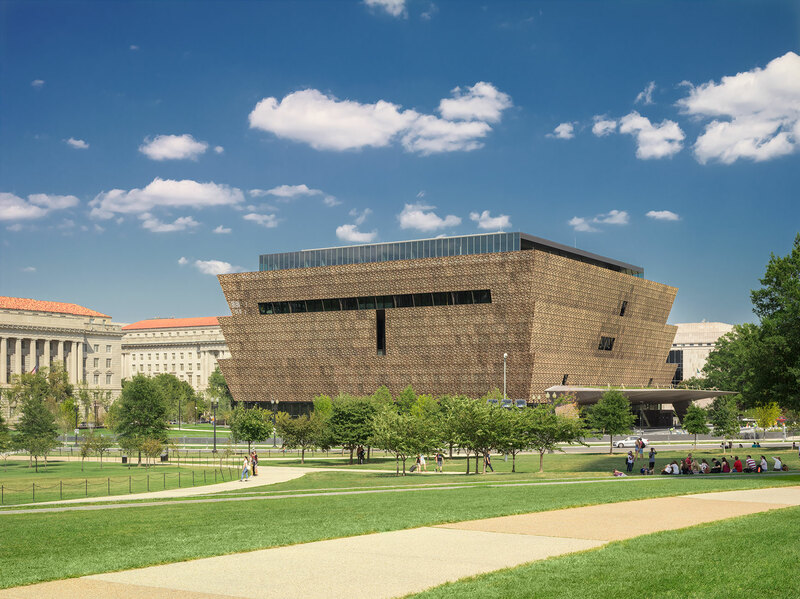 Ever since its grand opening in September of 2016, the National Museum of African American History and Culture (NMAAHC) has stood as a gleaming bulwark of a vital part of America’s national story. No mere receptacle for artifacts, the building itself teems with historical resonances. Its bronze-hued corona echoes traditional Nigerian designs, the transparent walls of its entry level set it in conversation with the nearby Washington Monument and Lincoln Memorial, and the wending ramp of its lower floors reflects the unsteady path of progress throughout history. With all these allusions to pick apart, it can be easy to miss another striking element of the museum: its emphasis on eco-friendliness. Subtly and in many cases quite cleverly, the design of the museum avoids resource waste without diminishing the visitor experience or imperiling its artifacts. Making an environmentally conscious building required commitment from the outset, and now that commitment has paid off: on April 16, the African American History Museum was officially awarded a Gold certification by the U.S. Green Building Council’s Leadership in Energy and Environmental Design (LEED) program. In the architecture business, this type of recognition is tantamount to an eco-Oscar.